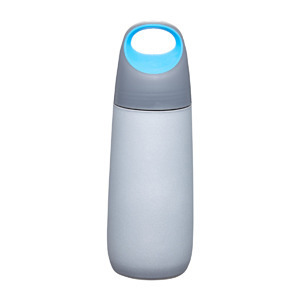 BPA free 600ml capacity Double wall stainless steel. Matt body with contrasting lid colours. Blue, black or lime green. Ergonomically designed mouth piece. Supplied in white box.